When your feet sweat, they activate odor-causing bacteria. The bacteria-laden sweat transfers to the inside of your flats or shoes, resulting in an unpleasant, stinky smell. 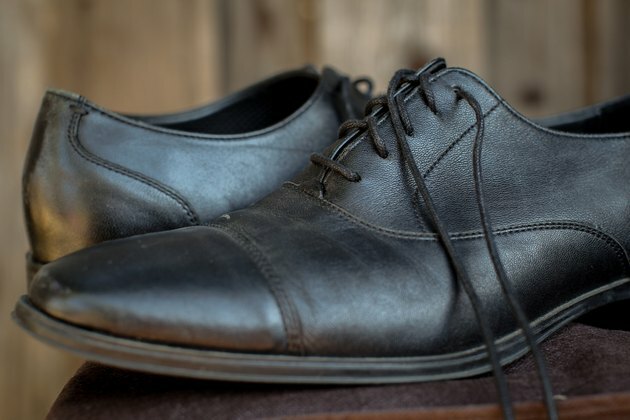 Rather than toss your shoes in a garbage bin, you can clean the inside of them to get rid of the culprit. 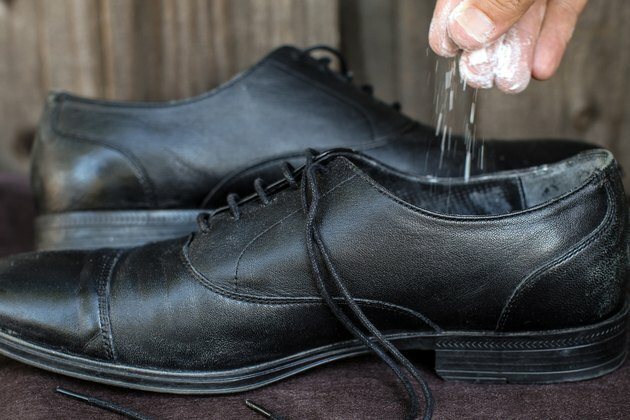 Once you deodorize your shoes, you can work toward keeping the inside of your footwear dry and odor-free so you won't have the same problem again. Mix 1 tbsp. of white vinegar with 5 tbsp. of water in a small container. Remove the insoles of the stinky shoes if possible. 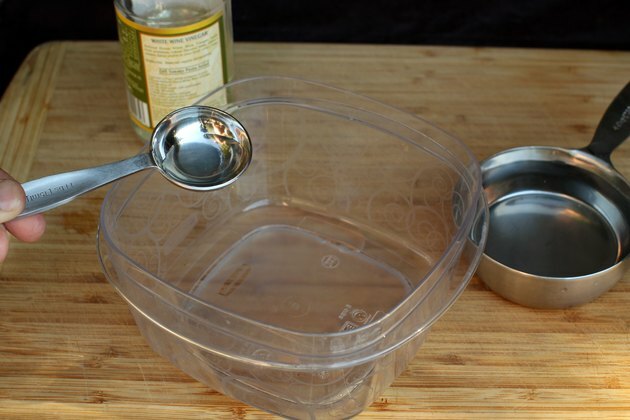 Dip a sponge in the vinegar and water solution and squeeze it gently to remove excess liquid. Wipe the insoles with the sponge to clean them. 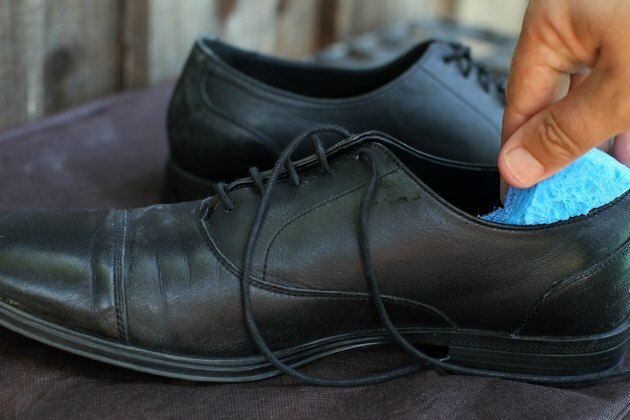 Allow the insoles to air-dry in a well-ventilated area. 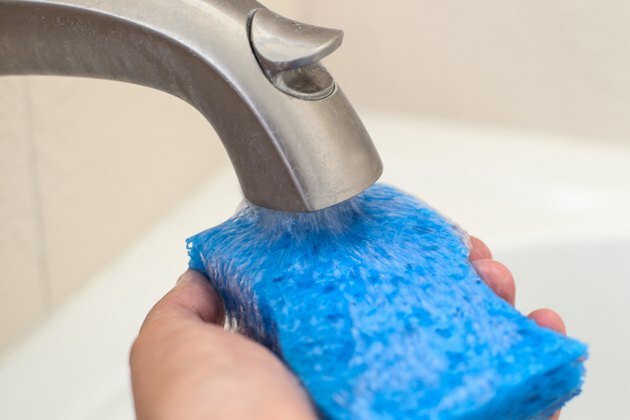 Rinse out the sponge under clean, running water and then dip it back into the vinegar and water solution. Wipe the insides of the flats or shoes with the sponge. Place the shoes in a well-ventilated area to air dry. Sprinkle the insides of your flats or shoes with baking soda after each wearing to deodorize them. Spray the inside of the shoes with a shoe disinfectant spray instead, if you don't want to use baking soda.